We are a famous petri dish manufacturer and exporter, originated in India. We also proffer sterile petri dish which is simply unbeatable. Our entire sterile petri dish and disposable petri dishes are available at the most genuine price. 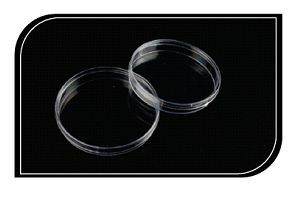 Petri Dish are used for unimpaired observation of specimen growth with raised straight ridge around top for stable stacking. Economical, optically clear dishes are precision-molded from biomedical grade polystyrene so cultures are clearly visible without distortion. Dishes are packaged in heavy wall polyethylene sleeves. Gamma Sterilised plates can be supplied on request.